Samsung has been in the mobile industry for years now and I must say it has been a veteran in mobile making. We must note that the Galaxy Series has brought a lot of glory to Samsung and made them a game changer in the mobile industry. Now all the galaxy fans are waiting for Samsung Galaxy X after the release of iPhone X. In this post, I will tell you about the features of Samsung Galaxy X based on the patent filed. 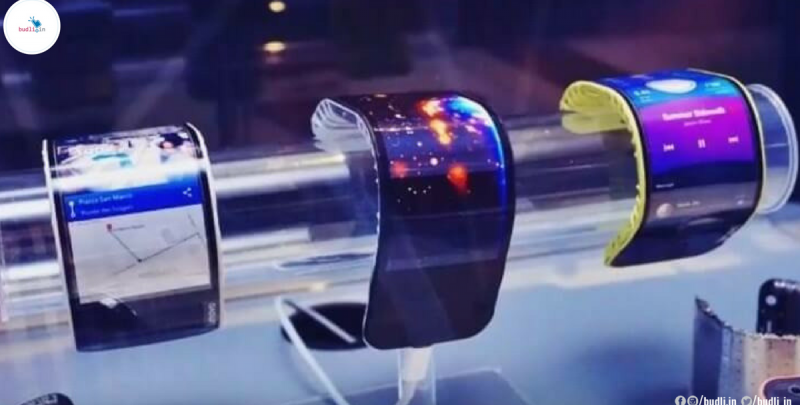 Samsung has revealed earlier this year to release their very first foldable Galaxy smartphone and all the eyes are set on the release date in 2018.Samsung has recently filed their patent rights on Galaxy Handset. However, the patent of Galaxy X Handset has been leaked which caused quite a stir, but the device’s concept form fell short of everyone’s expectation. The Patent is filed on Galaxy X by Samsung with the World Intellectual Property Organization and it is uncovered by LetsGodigital, in which it shows a dual-screen device attached together by a hinge much looking like a recently released foldable gadget from ZTE, the AXON M. The most common similarity between the two is the dual-display screen of equal size and they both being attached together with a hinge. The dual-screen can be folded inwards to cover the screen, and then folded outwards when the handset is to be used. The folded device much resembles Nintendo 2DS handheld device. To be noted, Samsung till now did not provide any details of the Foldable device. According to Tech Radar, the screen’s curved edges as shown by the Samsung Galaxy X may be important in securing the display seam while the handset is in tablet mode. At first look, the patent would easily capture a user’s attention, although there are still few things that need to be improved. For one, the display screens are placed on the inside of the hinge, making the fragile panels exposed to scratches when folded. The most disappointing part of this leak is the device looks nothing like the device which is presented by the tech giant at the Consumers Electronics Show (CES). At least we’re seeing what appears to be the early fruits of the foldable phone race. And based on the today’s technology – and considering these patent images – it looks like there’s still work to do yet before we arrive at something as forward-looking as Samsung’s early concept. It’s a Breakthrough patent filing but we need to take it with a pinch of salt, and some of Samsung’s patents never find their path to get into the technology giant’s portfolio and act more as pre-emptive patents rather than anything the company is directly working on. Are you in search of a new electronic device, then you should be looking for it in budli.in. We at budli have a wide range of refurbished electronic gadgets from smartphones to tablets to laptops and desktops. This is definitely the solution to all your efforts of searching a perfect device at the most affordable price. So why wait, go grab your favorite electronic gadget from budli.in right now!